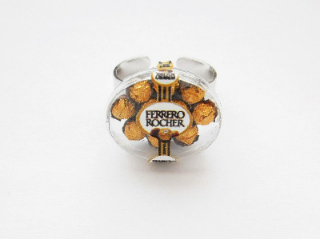 Funky miniature replica Ferrero Rocher Sweet Box Ring. Ferrero Rocher is made from clay wrapped in gold paper just like the real version. Placed in a sealed plastic box.